After Ministry of Defence, French Embassy rejected Le Monde's report. New Delhi: Hours after a controversy erupted over French daily Le Monde’s report that authorities waived off taxes in favour of Anil Ambani’s telecom firm ‘Reliance Atlantic Flag France’ after the announcement of the Rafale jet dealin 2015, the French Embassy clarified that a global settlement was reached between the tax authorities and ‘Reliance Atlantic Flag France’ and it was not subject to any political interference. Earlier in the day, leading French newspaper Le Monde had claimed that France waived off taxes worth 143.7 million euros to a French-registered telecom subsidiary of Ambani’s Reliance Communications in 2015, months after Prime Minister Narendra Modi’s announcement of India buying 36 Rafale jets. Ministry of Defence has however rejected the report terming it totally inaccurate. ”We’ve seen reports drawing conjectural connection between tax exemption to a private company and procurement of Rafale jets by Government of India. Neither the period of tax concession nor subject matter of concession relate to Rafale procurement,concluded in present Government’s tenure,” the Defence Ministry said in a statement. Reliance Communication had also released a statement denying any ‘favouritism or gain’ from French authorities. “The tax demands were completely unsuitable and illegal,” the statement said. It claimed that the tax disputes were settled ‘as per legal framework in France available to all companies operating in France. “Between 2008 and 2012, Flag France had an operating lossof Rs 20 crore while the French tax authorities had raised a tax demand of over Rs 1,100 crore for the same period. A mutual settlement agreement was signed to pay Rs 56 crore as a final settlement,” it added. Following the report, Congress intensified its attack on PM Narendra Modi and accused Ambani’s firm of getting a ‘special benefit’ from the French government in the form of the tax settlement. “The French tax authorities who had earlier demanded close to 150 million euros from the Reliance-owned company, Reliance Atlantic Flag France, agreed to settle the matter with just 7.5 million euros, the rest of the demand was simply waved, and this is Le Monde`s claim, not mine,” Surjewala said. He also stated that former French President Francois Hollande had claimed that bringing in Reliance Group was done as per the wishes of the Indian government. “As soon as the deal was signed, the Modi government transferred 70 per cent of the deal amount (Rs 50,000 crores approximately) to Dassault Aviation as advance payment, this same amount was invested by Dassault in AA`s (Anil Ambani) company by Dassault. This is how Modi ‘kripa’ works,” Surjewala claimed. 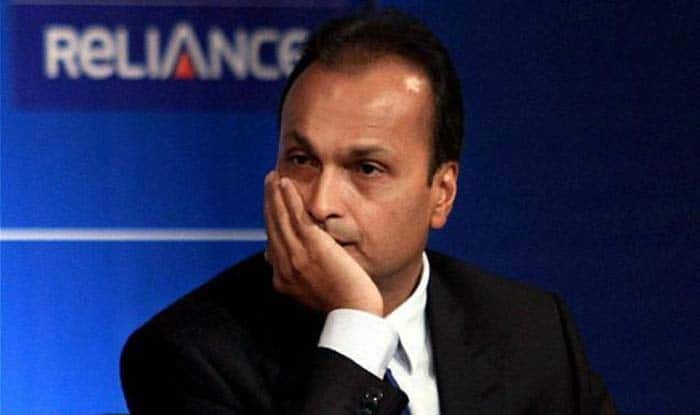 Giving a fresh twist to the Rafale deal in the ongoing of the Lok Sabha elections, leading French newspaper Le Monde reported that authorities waived taxes worth 143.7 million euros to a French-registered telecom subsidiary of Anil Ambani’s Reliance Communications in 2015, six months after Prime Minister Narendra Modi’s announcement of buying 36 Rafale jets. The report further claimed that the authorities conducted another probe for the period 2010 to 2012 and asked the company to pay an additional 91 million euros in taxes. It said by April 2015, the total amount owed by Reliance to the French authorities in taxes was at least 151 million euros. In October 2015, the French tax authorities accepted 7.3 million euros from Reliance Flag Atlantic France as a settlement as against original demand of 151 million euros, the French newspaper claimed.